8-1/4"-diameter foam discs in 6 bold colors. Look great and fly great. 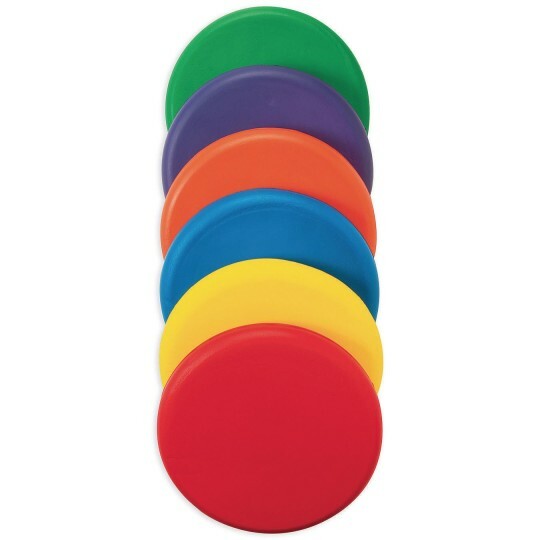 Vibrant colors make these soft and safe 9" foam discs even more fun to play with. Available in a set of 6 great colors that will add excitement to every game! This is so much better than a hard frisbee flies great! Great use for kids when teaching frisbee skills! Love the added safety for all my classes when using this product. I love these frisbees because they are great for beginners and a safer option if you are teaching in a small space.